The almost year-old UN-facilitated dialogue aimed at ending the political power struggle at the heart of Libya’s civil war has pitched its tent in several locations inside and outside the country since it began last September. Last week it was again the turn of Geneva’s Palais des Nations. Present at the talks were members of the two rival parliaments – the internationally recognised House of Representatives (HoR) based in the eastern town of Tobruk and its predecessor the General National Congress (GNC) based in the capital Tripoli – as well as civil society figures and the leaders of Libya’s five main political parties. Notably absent were those without whom any peace deal is doomed to fail – leaders of the armed factions fuelling a patchwork of conflict across the country, though mediators hope to include them in the coming weeks. From the outset, the dialogue overseen by UN envoy Bernardino Leon has been dogged by the question of who is truly representative in a country where militias now wield more power than government officials or elected representatives. As the civil war grinds on, the two broad camps of loosely aligned political and armed factions that emerged as fighting erupted last summer have splintered, making the crisis even more difficult to resolve. In Geneva last week, delegates from both the HoR and the GNC admitted they faced considerable challenges in selling the benefits of a national unity deal to hardline elements in their respective camps, some of whom have made little secret of the fact they will resist such a scenario with force. On the table is the fifth draft deal produced by Leon. This agreement envisages a government of national accord, under which the HoR would remain the main legislative body while members of the GNC would participate in a State Council, designed to be primarily a consultative entity. The deal was signed by a range of Libyan factions last month but the GNC rejected it due to concerns about the proposed infrastructure of the unity government and the role of controversial general Khalifa Haftar, who declared a unilateral anti-Islamist offensive in May last year before being appointed commander-in-chief by the HoR this February. There is no explicit role for the general in the proposed agreement, but the GNC is concerned the ambiguity of language on the armed forces could allow him to retain his position. The question of what to do about Haftar, who enjoys support in eastern Libya but whose position is considered a red line by many others – including several within the HoR who fear his thinly-veiled political ambitions – is one of the main conundrums faced by negotiators. This and other issues will be tackled in the weeks to come as participants – the GNC having decided to rejoin the process – discuss five annexes to the deal concerning key matters, including the appointment of the prime minister, his deputies and ministers, amendments to the Constitutional Declaration, and how Libya's financial institutions will be managed. Leon hopes an agreement will be made before the end of August. The stakes are high. With thousands dead, more than 400,000 displaced and many others having gone into exile since last year, Libya is a shadow of its former self. The hopes after the 2011 overthrow of President Muammar Gaddafi have given way to bitter polarisation that has divided regions, communities and even families. Despite having the largest oil reserves of any African country, Libya also finds itself facing an unprecedented economic crisis. Low oil output combined with falling global energy prices has forced the central bank to eat into its reserves and the prospect of bankruptcy looms. Taking advantage of the chaos are militants from so-called Islamic State bent on expanding their presence in Libya, human smugglers profitting from rampant migration, and separatists who want to establish their own state in the country’s east. The fighting has greatly affected civilians, particularly in parts of the east and south hit hard by the disruption of basic services and communications. Hospitals in the eastern city of Benghazi, Libya’s second city and where Haftar has focused his war, regularly run out of vital supplies. With many schools shuttered, Save the Children estimates that 75 percent of children in the city have no access to education. Fuel shortages have aggravated the situation and the price of basic foodstuffs has soared. In western Libya, the humanitarian situation has improved due to a series of local ceasefires, the impetus for which was largely a growing war-weariness within communities. The hope is that these local truces could act as a cushion for a broader reconciliation framework if and when a national unity government is established. Despite Leon’s repeated insistence that a unity government remains the best way to address Libya’s myriad challenges, there remains considerable scepticism about what such a deal could achieve. Libyans critical of the dialogue process argue that participants have little real influence on dynamics on the ground, where spoilers on all sides have the ability to upend any attempt to establish a unity government. Others insist the best way forward is not a government of national accord but fresh elections once the HoR mandate expires in two months time, much to the chagrin of diplomats who say it would be impossible to hold a national ballot in the current circumstances. 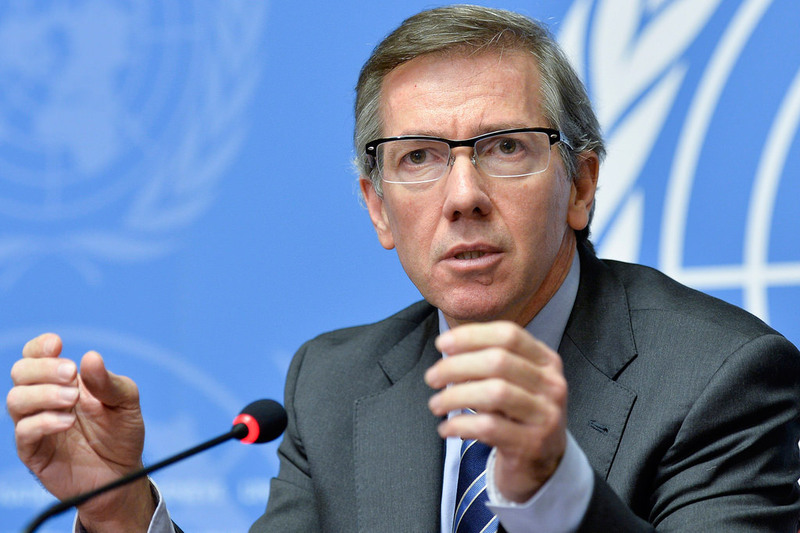 In Geneva, Leon said it would be “extremely risky” to reach the end of the Tobruk-based parliament’s term in October without an agreement, as the situation would then become even more unstable. Despite the disagreements, there were occasional reasons for optimism. Some warned that the end of August deadline may be too soon and admitted it would be hard to convince the militias on the ground to abide by them. But others were more optimistic about the prospect of a deal. More fundamentally, representatives from the various political factions were talking openly – the atmosphere in Geneva was far more amicable even than a few months ago. With time against Libya, the hope is that all sides are learning to compromise.